by Beresford, Michael, Brown, Jessica, Mitchell, Nora. The traditional patterns of land use that have created many of the worlds cultural landscapes contribute to biodiversity, support ecological processes, provide important environmental services, and have proven sustainable over the centuries. 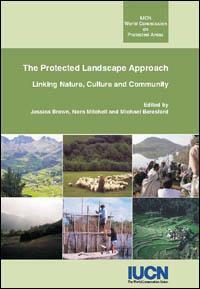 Protected landscapes can serve as living models of sustainable use of land and resources, and offer important lessons for sustainable development. Examples of these landscapes and the diverse strategies needed to maintain this essential relationship between people and the land are provided.